Another Easter’s almost here, and you know what that means. PEEPS! Peeps here, Peeps there, Peeps are everywhere. The hubs and the sons go nuts for these things. The hubs prefers to slit open a package and let them sit for a couple of days as he finds them quite pleasing when stale. (YUCK!) The sons will badger me incessantly if they see a package in the pantry, even though if they just patiently wait until Easter the bunny always loads their baskets up with several packages. The past few years, I’ve seen mroe and more ideas floating around with different ideas and suggested uses for them. Last year we made Peep kabobs for their baskets. I noticed they’re now selling them in stores this year. 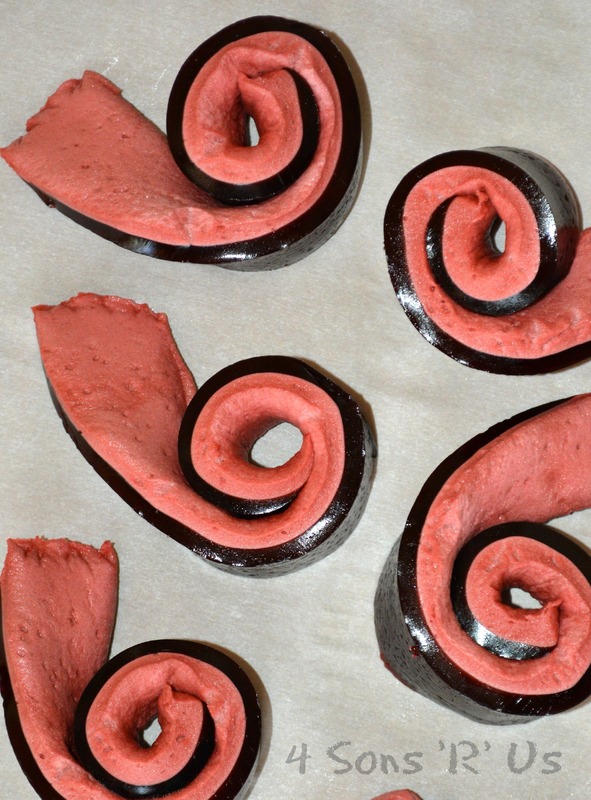 Well this year we took it above and beyond by making this simple, but awesome edible ‘playdough’ for Son # 4. Even the older sons wanted in on this action. Although I was forbidden from photo documenting the event. No evidence and plausible deniability… blah, blah, blah. 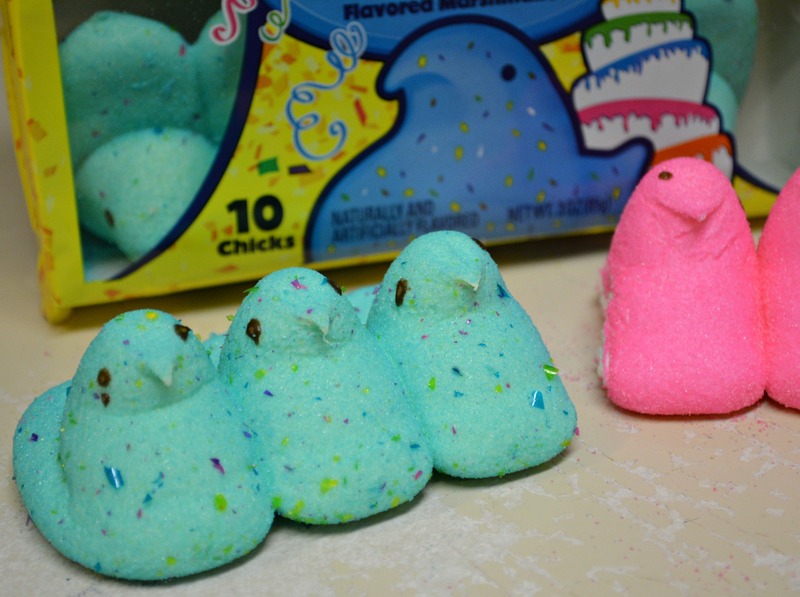 Who knows, maybe this will find it’s way to the Peep market eventually. In the meantime, it doesn’t get any easier and it’s tons of simple, sugary fun for you and the little ones to gear up for the holiday. Put both the peeps and the oil in a microwave safe bowl. Microwave for them for 10 seconds, just long enough to watch the peeps “grow” with the heat. Take the bowl out of the microwave and add in the powdered sugar and stir. 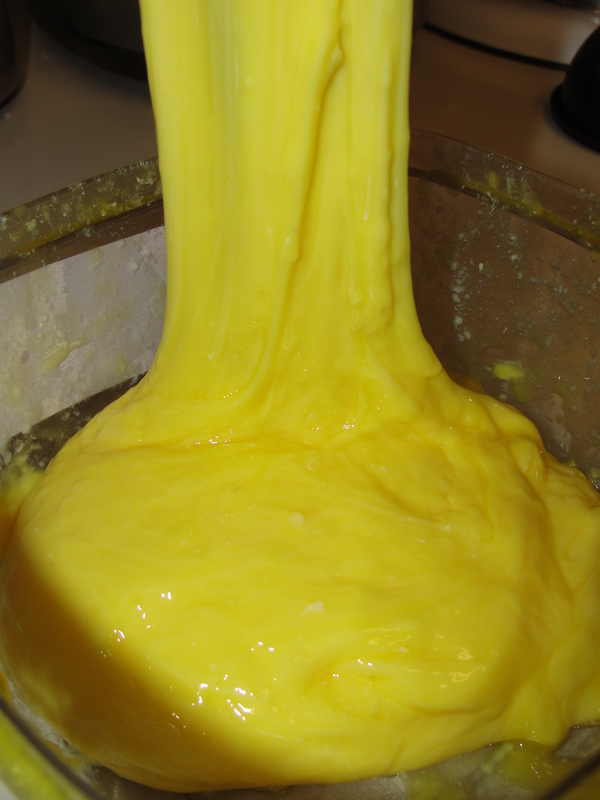 As you stir the mixture in the bowl, the ‘dough’ should begin pulling away from the edges of the bowl. Lightly dust the lump with powdered sugar and work out any additional lumps in your dough with your hands. If your dough is too sticky or too oily, add more powdered sugar, and alternatively if it is cracking, add a touch more oil. Use your hands to knead the dough until everything’s equally incorporated and it has reached a malleable consistency. Ok, so while we’re calling this playdough, it’s actually pretty much marshmallow fondant with some added pizzazz and Easter-y fun from the Peeps. The pink ball was with traditional peeps, but we went out on a limb and gave the party cake peeps a try, and it tasted even better! 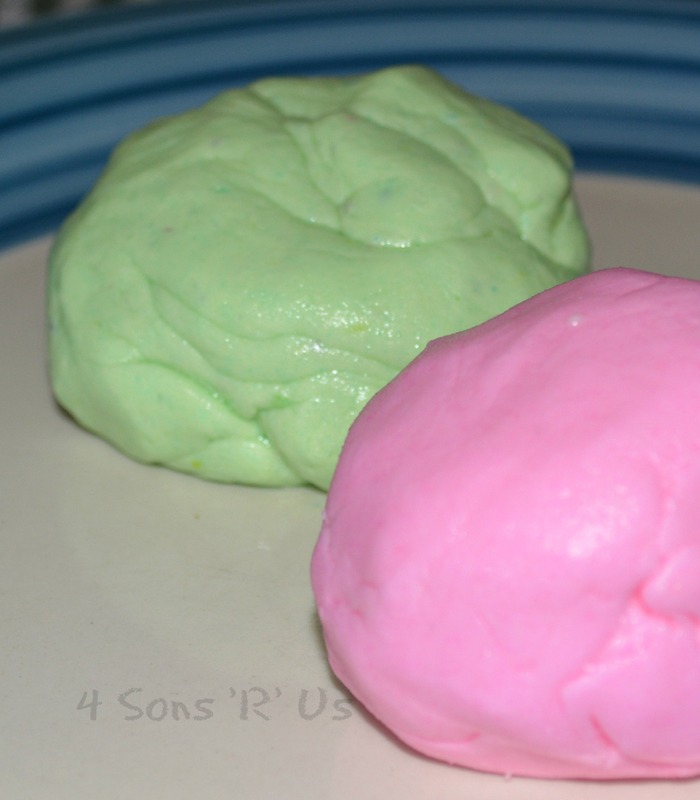 This edible marshmallow dough can be used and played with just like regular play dough, but it does not store well. So if you’re getting ready to make it, be sure to have the kiddos on hand to get the most play time in with it. Concerned this is too much sugar? Check out this version from Still Playing School that uses cornstarch instead of powdered sugar. Coincidentally, they also make a bigger batch so it’d be great for larger quantities for multiple little ones to enjoy. 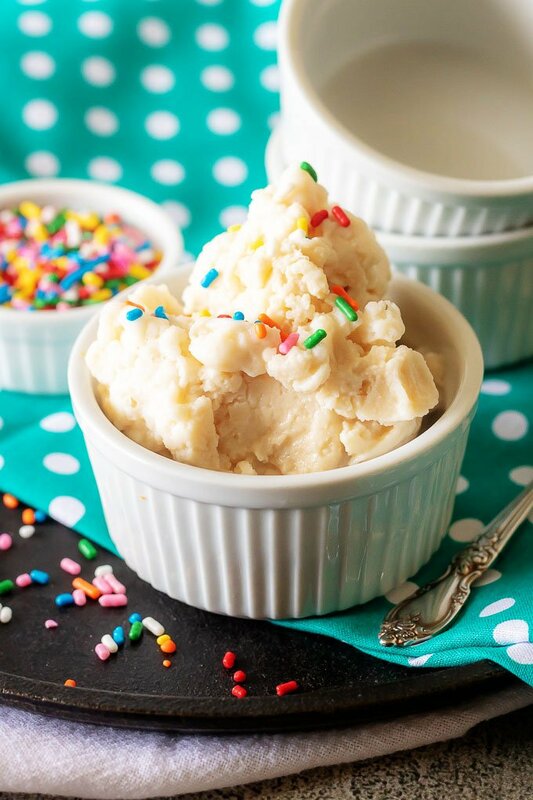 A tasty treat, this 5 Minute Ice Cream In A Bag is an easy, sweet treat the whole family can get involved in making. Everybody is sure to enjoy this simple dessert. Since my youngest was old enough to move, and kick his hands and feet, bath time has been his absolute, all-time favorite part of any day. As he’s aged and grown, this hasn’t changed a bit. 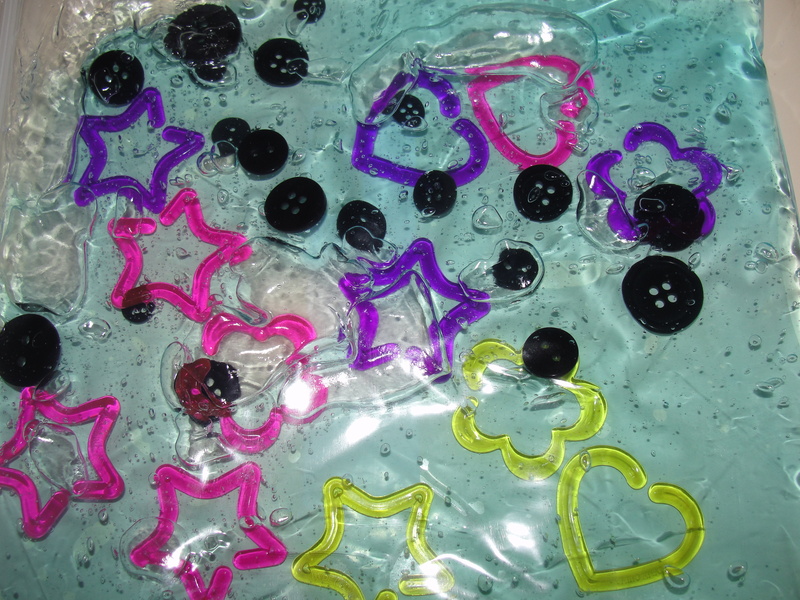 Partly because of that, and because clean-up is easier, we do a lot of crafts and activities in the tub around bath time. 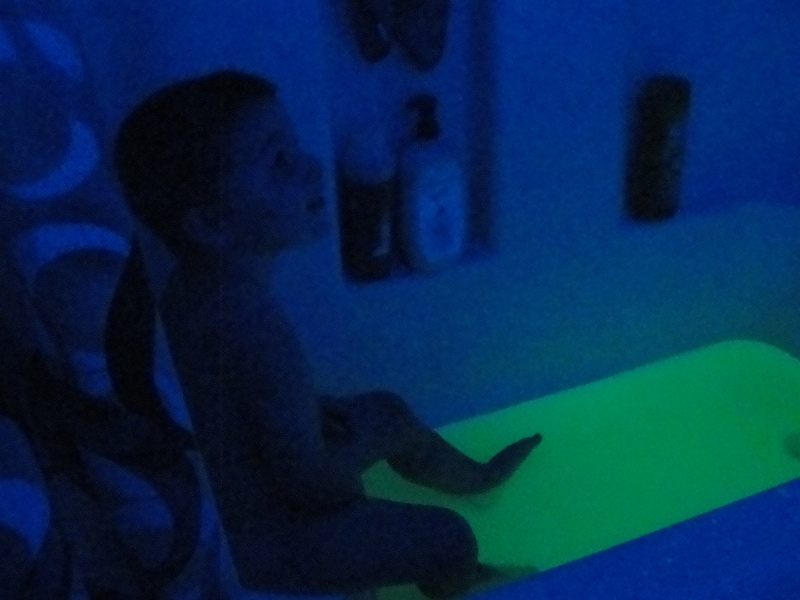 A glow in the dark bath was definitely on my to-do list. This was a huge hit with the boy. So much so, that he built up an entire back story about how he was exploring in space and had found this plant on his rocket ship. It was a ‘blast’ (pun intended). Simple to do, easy to clean up, and provides endless, thought-provoking entertainment. My son’s ‘glowing’ reactions were confirmation enough that this activity was a total success. Break open the yellow highlighter, removing the cylinder ink pad. Soak the ink pad, or pads, in bath water for about an hour, or until the pad loses its color. Note: You can dilute this A LOT and it will still glow; however, the more water you’re trying to color, the longer it may take the ink to disperse evenly throughout. To activate the ‘glow’, aim your black light at wherever the water is located and turn it on. Prepare to watch your children’s amazement! How many others remember Nickelodeon, both their TV shows and their products, vividly from their childhood? Gak was one of my favorites. I vividly remember the ‘fart’ noises it made when squished, and the way my parents cringed at the thought. It stretched, it squished, it oozed. Remembering all the fun I had had as a child, I really enjoy bringing some of these toys back for my own kids to play with and enjoy today. Being a mother to 4 boys, I knew I couldn’t go wrong with any toy, or substance, that emits any noise slightly resembling flatulence. I found this recipe from Lil Luna. My boys, young and old, literally spent hours playing with the stretchy, gooey gelatinous substance. Even my teenager traded the iPod in for some good old-fashioned hands on fun with something ‘yuck’. 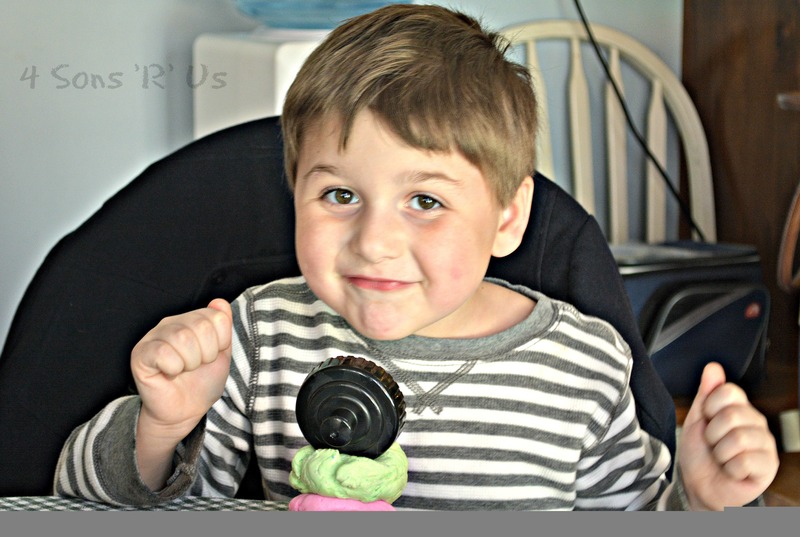 I’m especially fond of any toys, activities, or crafts that get all four playing together. They actually cooperated, shared, and just got to enjoy each other’s company. Our first batch was yellow, but yours can be any color your heart desires. 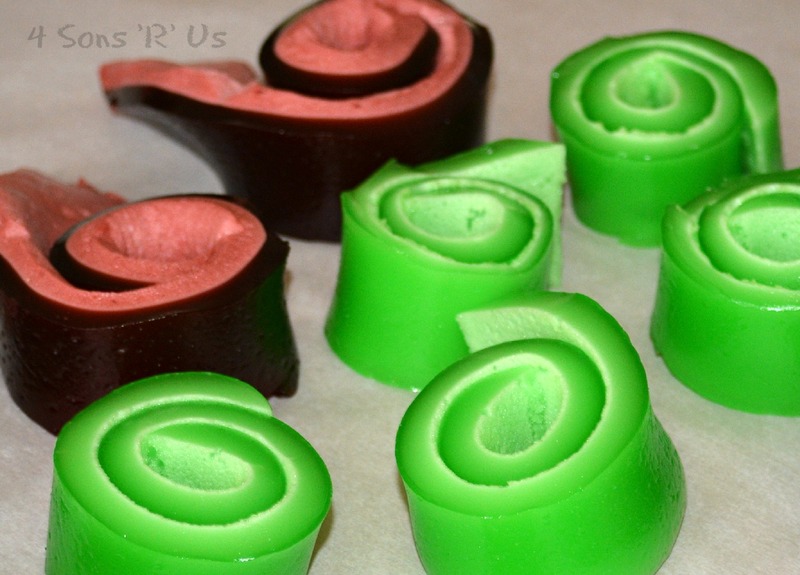 Mix and match your food coloring. Experiment, but most of all have fun! Empty both bottles of glue into a bowl. Fill bottles with warm water, recap, shake, and then empty into the bowl. Add a few drops of food coloring. Stir and set aside. To another bowl, add 1/2 cup of warm water. Add in the borax and stir until dissolved. Pour the borax mixture into the glue bowl. Begin by stirring with a spoon. Once it becomes super stringy, begin mixing and squishing by hand. It should be pretty gelatinous by this point. 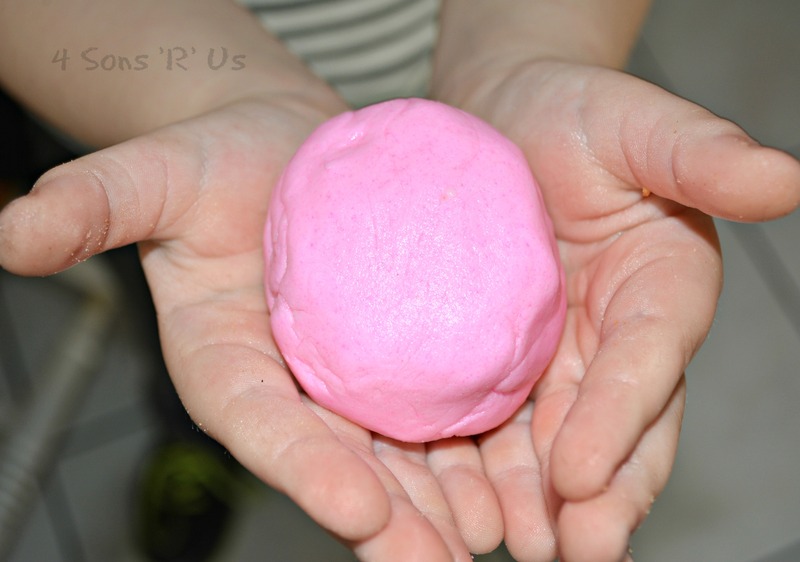 Let the kids play with it for a few minutes and it will become the perfect gooey consistency. Even better, when you’re done, your Gak can be stored for play at a later date. 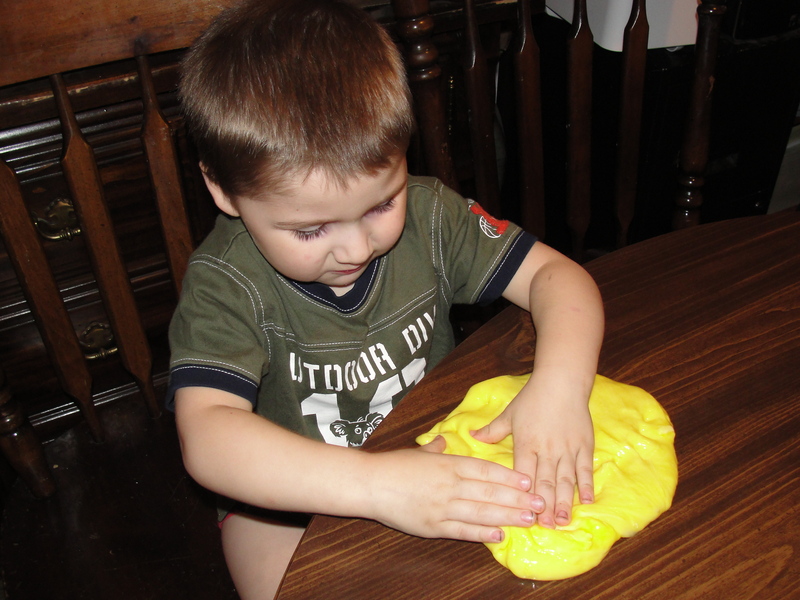 Sensory play is a wonderful opportunity for young children to explore the world around them using their five senses while also honing their fine motor skills. My boys have always been very touch and texture oriented, and sensory bags have been a wonderful way to encourage them. Below are two examples of some of the sensory bags I’ve made for them to play with. It’s so neat to watch their little fingers as the discover how the different items in the bag feel, and watch their little fingers work to move them around. I always find myself wondering what they’re thinking and what conclusions they could be drawing during play as they become engrossed in the activity. Sensory bags are a wonderful quiet time activity. 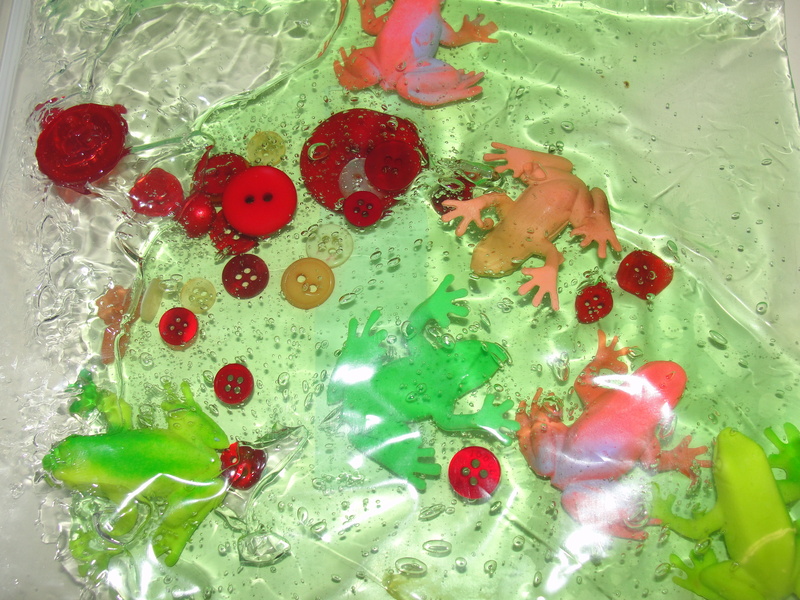 Perfect for tummy time, or anytime I need to get a little one to sit still, but still need to keep them engaged. The possibilities on themes is endless. Get creative, play with it, and see what kind of sensory bags you can come up with. Or just copy these. Squirt gel into bag until desired fullness is reached. Remember the bag sill has to zip and the edges be duck-taped without being so full it will pop when played with, about 1 1/4 cup of gel should be sufficient. Add in trinkets of your choosing. Compress bag gently to remove any trapped air and seal tightly. Duck tape all outer edges of the bag to make sturdier and guard against leaks. Use as a tummy time mat or lap activity and let the little ones explore and enjoy.